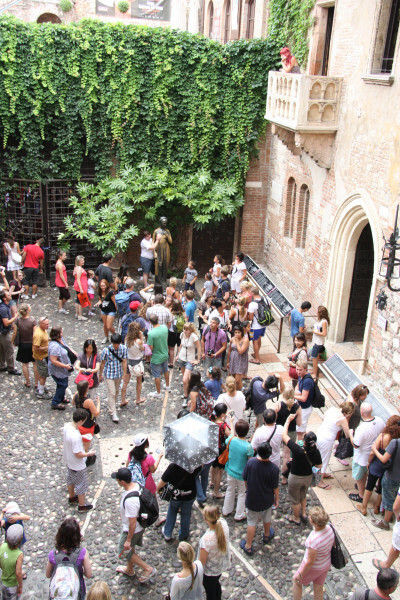 The day pass at Juliet's House (Casa di Giulietta) in Verona is €6 making it one of the 15 cheapest tourist Attractions in Italy. CC BY-SA 2.0 © Jiuguang Wang Caressing Juliet's bronze statue's right breast is said to bring luck in love. We all know it, the tragic love story of Shakespeare's Romeo and Juliet. It is said to have taken place here in Via Cappello 23 in Verona. You enter the 13th century building's patio through a Gothic gateway. The house's warm brick front alone radiates a touch of romance. The first thing tourists admire inside the patio is of course the famous balcony. It may have used to be a sarcophagus, and in reality has nothing to do with Romeo and Juliet. 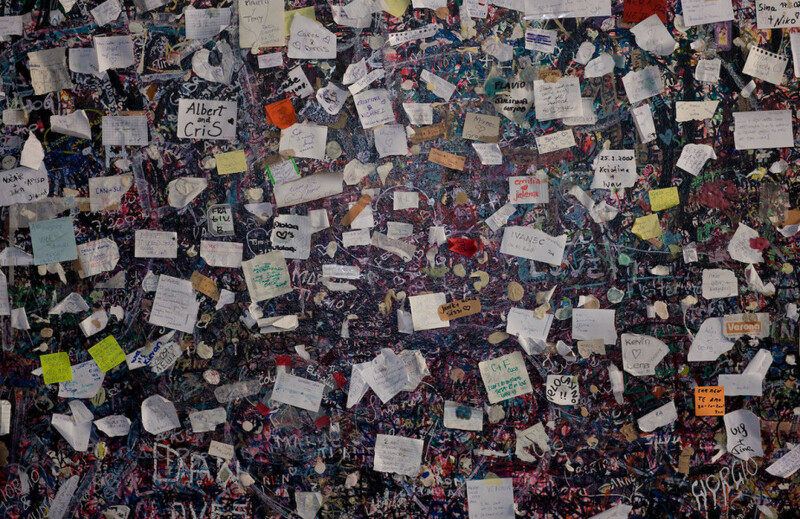 However, this doesn't bother the flock of lovers traveling to Juliet's house from all over the world. Furthermore, a bronze statue of Juliet created by Nereo Costantini, is found inside the curtilage. Legend has it that caressing Juliet's right breast makes you lucky in love. No wonder Juliet's breast looks a bit worn after all this time. On your way to the patio you will also notice thousands of litte notes inside the wall. This is where couples from all over the world write down their lovers' vows. Those who are crossed in love can bear their hearts out in a letter addressed to Giulietta Capuleti. 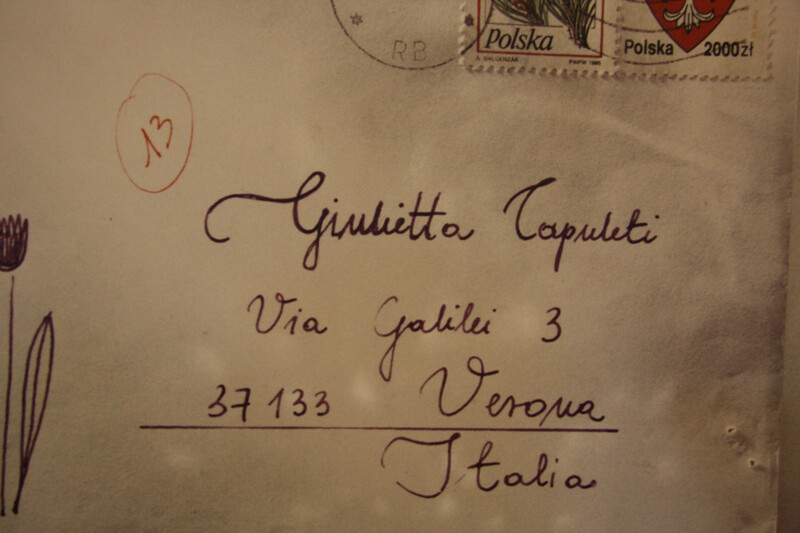 "Juliet's secretaries", a group of volunteers from the city of Verona make sure all of those letters get a reply. 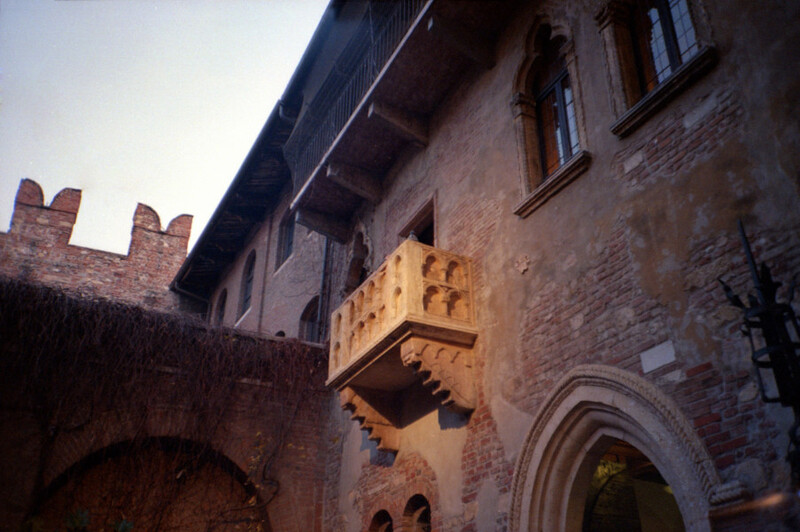 CC BY 2.0 © Gabriele Ravanetti Juliet's famous balcony in Verona was actually a sarcophagus, and was added to the building afterwards. 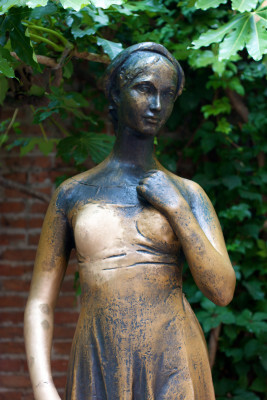 In 1935, Antonio Avena, then director of the municipal museums of Verona, ordered the anonymous house to be restored as "family Capuleti's house". Since no hints of the former furnishings were visible at the time, it is hard to tell whether the original state resembled the house after the restauration. The only feature maintained for sure is the building's medieval character. At any rate, it has never been home to fictitious Juliet from William Shakespeare's tragedy. Juliet's house is located in Via Cappello 23, at Verona's old town. It is easiest to park your car at Parcheggio Saba Arena car park. From there, you can comfortably discover the city centre. You can get to Verona on SS12. Follow the street until Porta Nuova, then go along Corso Porta Nuova until you reach the car park or Multipiano Cittadella parking a few metres further down. Walk along Piazza Brà, past Verona Arena. Follow Via Anfiteatro, then keep walking straight along via Stella, until you can turn into Via Cappello.